No results found in Publisher’s Pen. A closer look at the Genesis Flood account reveals a beautifully written, unified narrative that points to one inspired author. 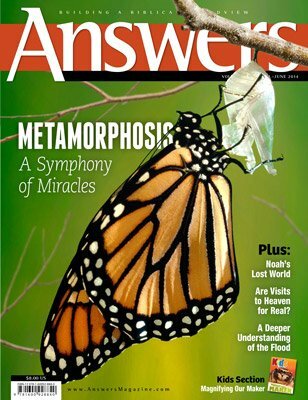 The passage masterfully highlights one central message: “God remembered Noah.” Along with in-depth articles on the Flood, this issue shows biblical and historical evidences of Christ’s Resurrection, new discoveries about the miracle of a butterfly’s metamorphosis and much more!